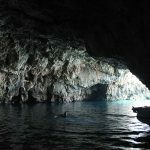 From July 1st, 2017 the entrance fee to visit inside the Green Cave is € 10. 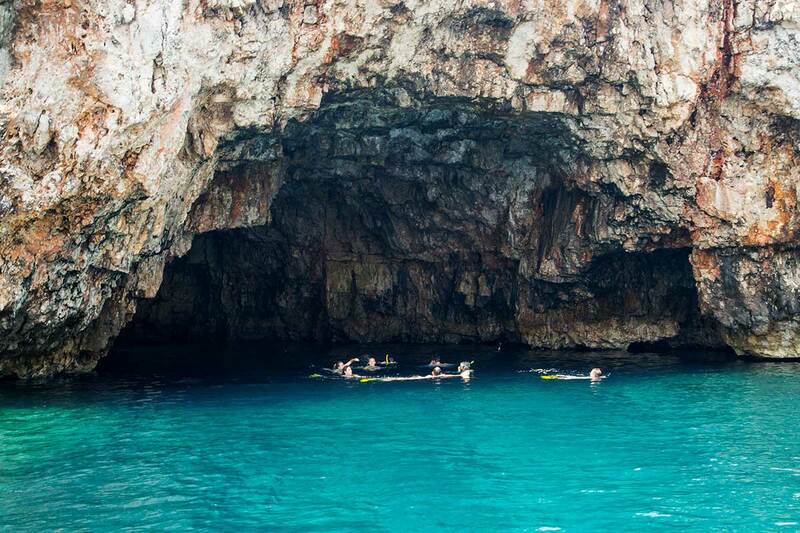 The visit to the Green Cave is no longer a part of our Blue Cave tour from Omis but only as an optional stop of the private tour. We are sorry for this inconvenience. 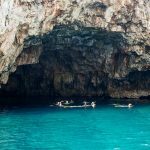 After we have enjoyed in the beautiful Stiniva cove and enjoyed on it’s pebble beach, on our Blue cave tour from Omis, we visit another attraction of Vis island, Green cave. 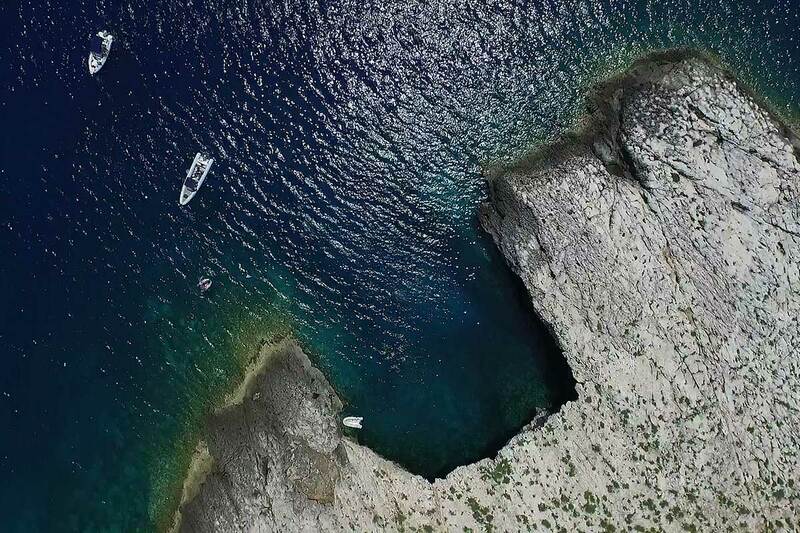 On the south side of the island Vis, in front of the Rukavac bay is situated the uninhabited island of Ravnik, and on its southwestern side there is a Green Cave. 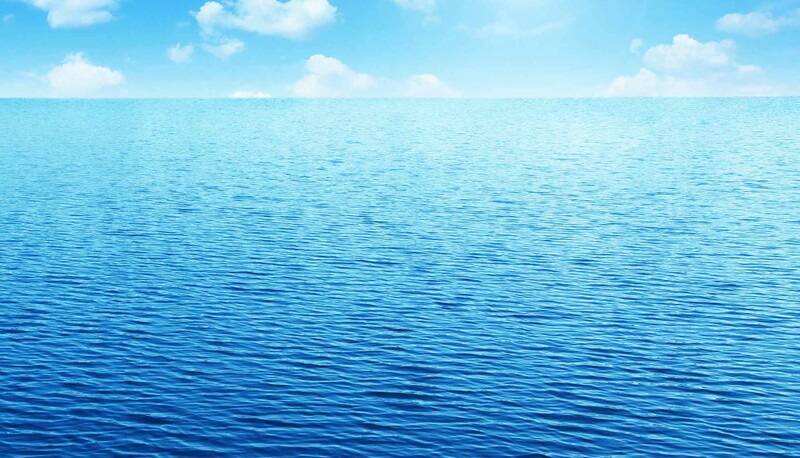 It is a wonderful work of untouched nature in the Adriatic Sea. 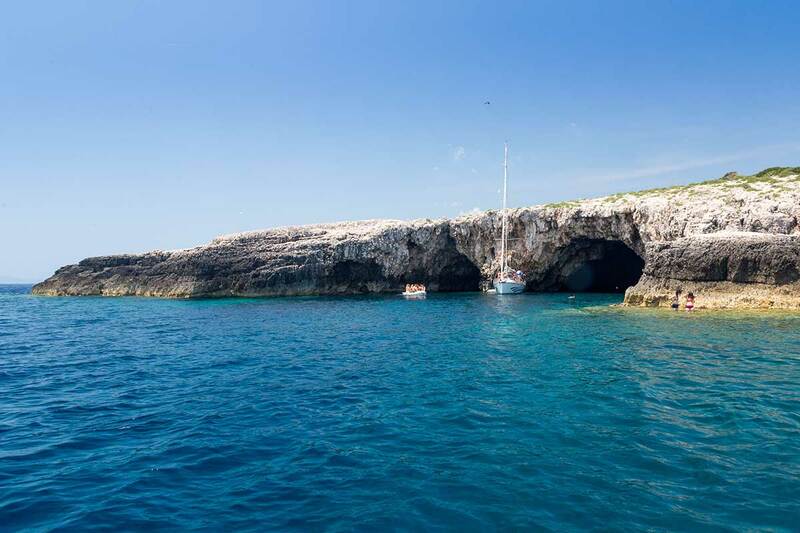 It is a favorite destination for sailors, and although it is less famous than the Blue Cave– it is definitely worth visiting. 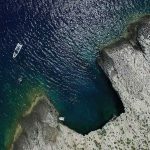 It is amazing to realize that there is no construction on the island, it is covered with Mediterranean vegetation and the Ravnik Island is protected from the 1967 as a significant landscape. 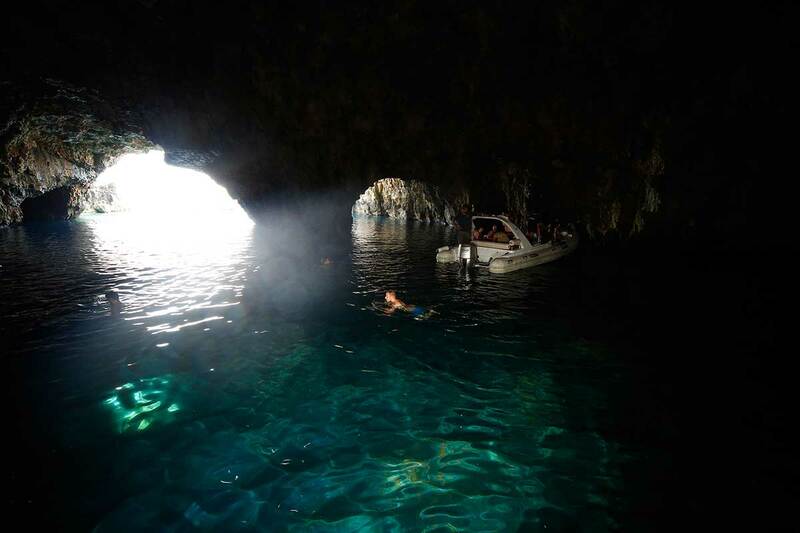 The name ‘Green’ was obtained by greenish light effect in the sea resulting from a multitude of green algae at the top of the rocks of the cave. 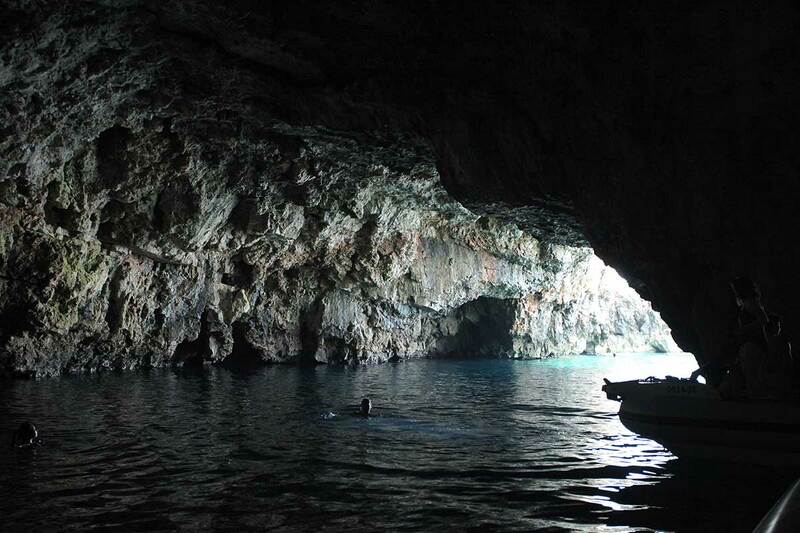 The cave is spacious with two large entrances and can be reached by the smaller motorboats. At the entrance itself, you will be attracted to the twitter of the birds whose shelter is in the cave, and the drip of water from the stalactites into the sea. Stalactite is a cave decoration hanging from the ceiling of the cave. Through the opening at the top of the cave the sun’s rays are reflected in the interior of the cave and create stunning greenish light effects. 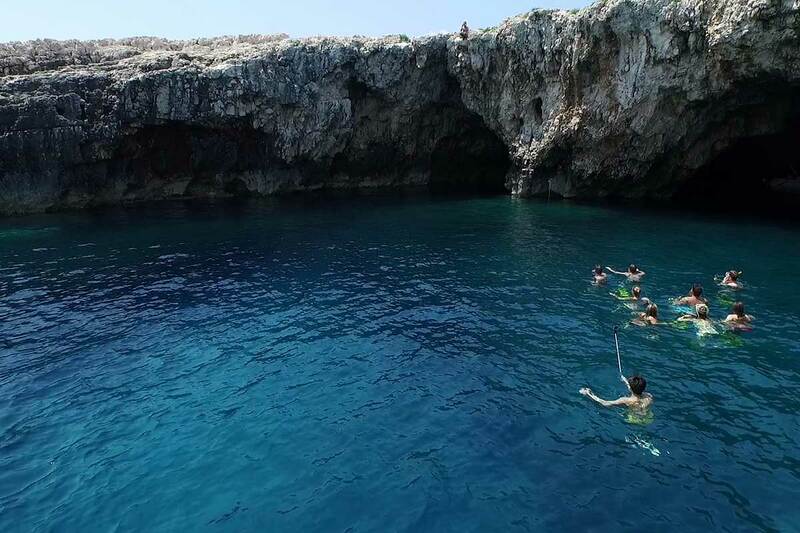 One thing is for sure, you will enjoy its gorgeous beauty with the unusual light and sea play. 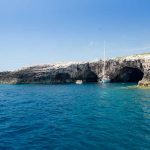 The green cave is a wonderful work of nature and therefore a particularly attractive dive site so- caution when circling in front of the cave because there is often a diver with bottles that should be marked with diving buoy. 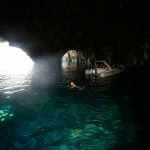 According to the local legend- if you dive underneath the beam of light in Green Cave and pass through it you will live for hundred years, so- you never know, why not try! 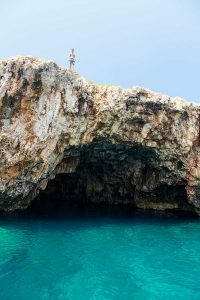 Swimming is also allowed so here you can swim, dive or climb on top of the larger entrance of the Cave but be aware that the only way back down is- to jump down in the sea! 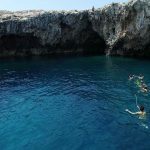 In each case- you will simply adore discovering this green underwater world!